Sweet potatoes contain the skin-brightening combination of vitamin A and vitamin C. Together, these nutrients help replace a dull complexion with a fresh face, while working to neutralize cell tissue-damaging free radicals. Sweet potatoes’ brilliant orange color is attributed to their high levels of carotenoids and beta-carotene, which convert into vitamin A. Vitamin A is necessary for a shiny, well-moisturized head of hair as well as promoting a healthy scalp, which is essential for healthy hair growth. 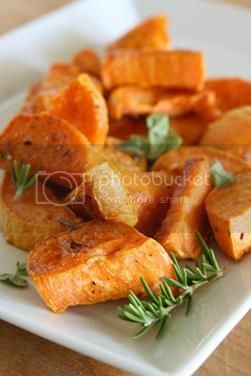 Sweet potatoes are also rich in biotin, and vitamins B2, B6 and E. They supply a healthy source of iron, potassium, which help keep the right fluid balance throughout the body’s cells, along with copper, manganese and folate, which is especially important for pregnant women. Choose sweet potatoes that have the deepest orange colors, which indicate the higher carotene content. Be sure to eat them with the skin on, which contains a high amount of fiber and nutrients. Fall and winter squash varieties have less water content than summer squash, and therefore provide more nutritional and beauty benefits. These varieties include pumpkin, acorn, butternut and spaghetti squash. 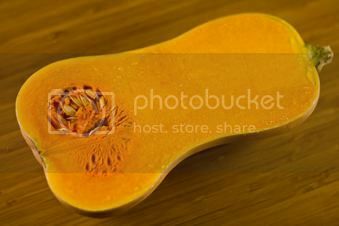 With its brilliant colors, squash provides an excellent source of carotenes, and a good source of vitamins B1, B6 and C, folic acid, pantothenic acid, fiber, and potassium. The B vitamins it contains are helpful in reversing the damaging effects of stress on the body, which may contribute to aging faster, and its vitamin C has a collagen-repairing affect on the skin. Squash also contains coumarins, which works with other nutrients to create a blood-thinning effect in the body, which is great to increase circulation, which is beneficial for glowing skin. 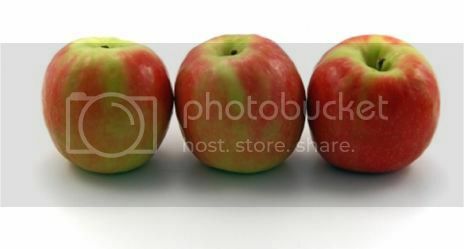 Pectin is the type of fiber found in apples, which makes up 75% of the apple’s fiber. While other fruits contain pectin, it is found in the highest concentration of all fruits in apple. Pectin comes in both a soluble and insoluble fiber form. Apple pectin is a helpful detoxifier, as it has been reported to bind to and eliminating toxic metals from the body, and keeps your system clean, which contributed to higher natural beauty. It may help prevent DNA damage by free radicals by acting as an antioxidant.